Home > Uncategorized > Should the Term “Musical Genius” Be Redefined? Should the Term “Musical Genius” Be Redefined? Throughout their time in institutions of higher learning students, music students are trained to accept academia as setting the standard for defining musical genius. They are typically required to study the masterworks of great composers and musicians. Through lectures, reading, analysis and research (as well as listening) the student discovers what set them apart as masters of their craft, whose unique talents have pushed the boundaries past the typical standard practice of their time. When studying the music of such musical icons as Palestrina, Bach, Mozart, Beethoven, Brahms, Debussy, Stravinsky, Schoenberg and Webern, it becomes clear why these composers were highly regarded as musical geniuses as exemplified by the craftsmanship and quality of their musical works and their impact upon the evolution and development of musical composition. 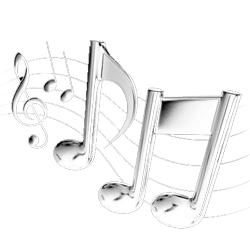 On the other hand, we have seen how a drastically radical style of music such as jazz has emerged and developed from a simplistic minstrel based music to a high art form as evidenced by the creative innovations and influences of artists such as Louis Armstrong, Duke Ellington, Charlie Parker, Miles Davis and John Coltrane. Today, we can see how the impact and contributions of these artists have clearly redefined the definition of “musical genius”. This also appears to have opened this option to popular music innovators as well, as evidenced by the successful merging of gospel, jazz, country/western and rhythm and blues styles by Ray Charles and the groove based funk music of James Brown. Prior to, and following his passing, the musical genius label has been freely bestowed upon Prince by media and social media for his contributions to popular music. In a May 2016 Newsweek edition featuring Prince, (as well as a number of other sources) there are comparative references to such icons as Mozart, Beethoven and John Coltrane. As an academic who has thoroughly studied music ranging from jazz to neo romanticism, I have to wonder if the term has become too loosely utilized or if it should be redefined. Academics and mainstream media apparently have different standards for the term, but should it continue as such? There was a time when academic scholars had a difficult time accepting any jazz artist as a musical genius. Nowadays, it appears that academia has grown to accept jazz artists such as those previously mentioned for their talents and contributions. It has been well documented that Prince was a naturally talented multi instrumentalist, entertainer and prolific songwriter with a strong work ethic, and unique marketing talent. I’ve always respected his ability as an entertainer and musician on the popular music level. However, I always had difficulty accepting him as a musical genius in the traditional academic sense, especially when he is compared to Mozart, Beethoven and Coltrane. I acknowledge the fact that Prince was a prolific songwriter who turned out high quality pop music. But when I look at the craftsmanship involved in such pieces as the quintuple fugato in Mozart’s Jupiter Symphony, Beethoven’s String Quartet Op. 131, or Coltrane’s mastery of the complex chord progressions in Giant Steps, I must admit that I have difficulty with these comparisons. Also, it is fair to say that Prince did not have the sophisticated training that these musical icons had. In Miles Davis autobiography, it is interesting to note that he speaks very highly of Prince, even referring to him as a “little genius” and comparing him to Duke Ellington. And anyone who is familiar with Miles knows that he was a brash music critic who didn’t give compliments very easy. However if being a pop music trendsetter, prolific songwriter, music marketing master, and multi instrumentalist qualifies a musician as being a “musical genius” then should the term be redefined-or continue as a different standard for academia versus mainstream media? Then, one must ask if academia should always be the ultimate judge for defining musical genius. I must admit I have my doubts that academia will ever accept pop artists such as Prince as musical geniuses as it has done with jazz innovators or the “classical” music masters unless pop music somehow branches off and evolves into some genre of high art as jazz has from early minstrelsy and a musician such as Prince can be viewed as a significant contributor to its inception.